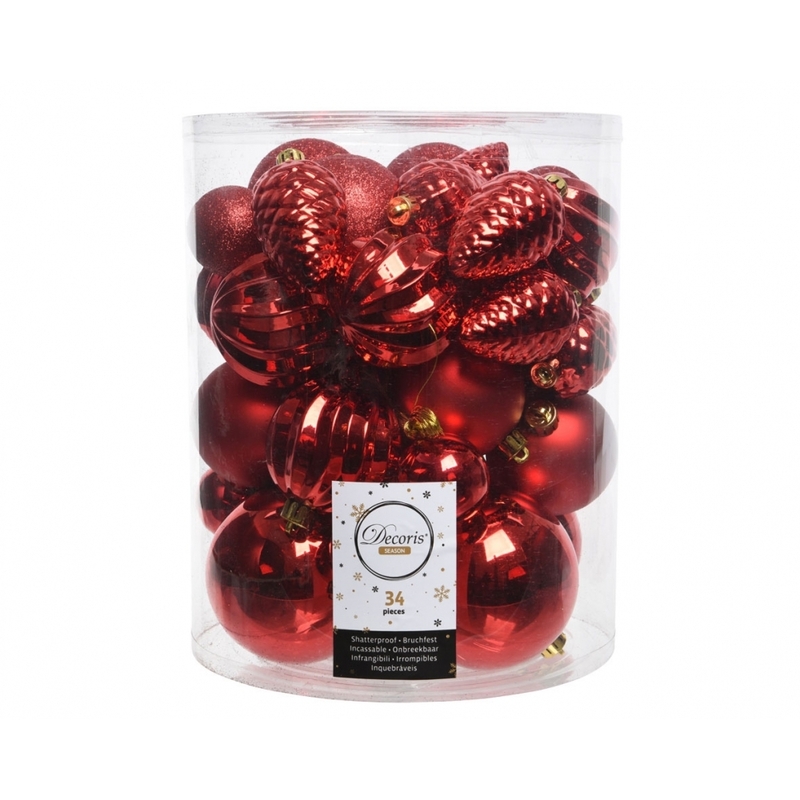 This set of 34 Assorted Shatterproof Christmas Baubles is perfect for giving your Christmas tree a new look this festive season. In this luxurious Christmas Red colourway, this set will coordinate with many different interiors and would look equally stunning in your home or in a commercial setting. They can be hung on the tree using the wire ribbon included or to decorate candlesticks, wreaths etc. Also available in Light Gold, see our collection of Christmas Decorations for more ideas this festive season.